This evening event in the 2018 TT League is to be held on the Stoke Hammond course. 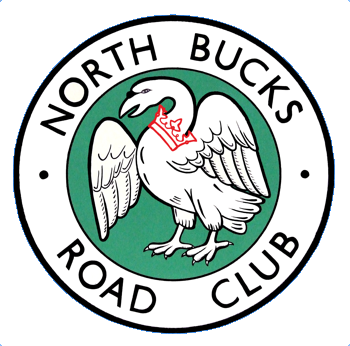 In the event of road closures, we will use an alternative course - please keep an eye on this web page and the NBRC Facebook Group for any updates. If you are new to the course, please review the course description and risk assessment. Here is the Course route - includes download links for many GPS enabled computers. The event starts at 7.00pm, and entry is on the line at £3.00 (NBRC members), £5.00 (non-members). We need more volunteers for the signage rota - without this, the upcoming events can't take place. If you can help, please contact Robert and he'll add your name to the list. A nice cool evening for a change, made cooler by a sprinkling of rain before we started! It was a bit breezy, which dented people's times a bit. This will be the last event on the course in 2018, since the road's going to be extensivelty resurfaced over the next 6-8 weeks. Next ride on this course will probably be the New Year's Day '10'. We will arrange replacement courses for any remaining events scheduled for this course. An finally - please volunteer to help with signage! Drop Robert an email if you can help. 1 5 John Wingfield TeamMK 20.56 Sen.
9 15 Chrios Wren Leighton Buzzard Roads CC 25.40 Sen.
14 12 Martyn Douglas Unattached 29.31 Sen.